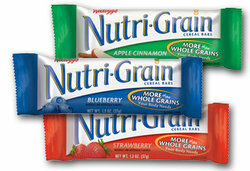 Nutri-Grain Bars. One of the fastest growing categories we have in the Snacks section. Great for meetings or snacks during the day.